To pack your shoes without getting any of your clothes dirty, put them in a shower cap. When the plane you are booking tickets for has three seats per row, reserve the aisle and window seats and you’re far more likely to have the row to yourself. If someone ends up having the middle seat, just asks to switch. Almost everyone will be willing to switch out of the middle seat. Adding ?.jpg to the end of a website address will often allow you to bypass expensive airport WiFi fees. It may be traditional to bring cameras on vacations, but using your phone to take pictures saves space and money, and usually ends up as better quality shots too. Need to fit a lot of stuff in your bag? Vacuum seal clothes for extra room. If you travel a lot, you know packing your chargers all the time can cause them to chip or break. Just add the spring from a pen to the end of your charger to keep that from happening. 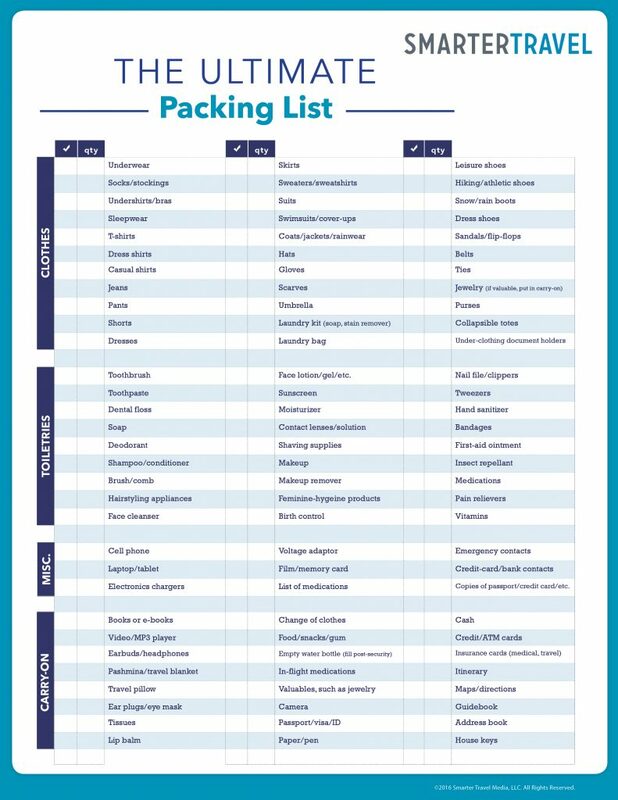 Be sure to make a list about a week before you travel, so you don’t forget anything when you actually pack. Pill containers are great for organizing rings and earrings.